Whether you are travelling for business or leisure, Best Western Metro Clark can accommodate your travelling needs. The hotel provides a welcoming environment, comfortable accommodations, breakfast, free high-speed internet access, great service and easy access to many major businesses, shopping malls, and popular attractions around the city. And with added value of award winning loyalty program, Best Western Rewards, exclusive perks & discount at all local & international Best Western Hotels & Resorts make your travel more rewarding. It is perfectly situated in the heart of famous entertainment districts and the main thoroughfare of Angeles City. The hotel is accessible to nearby several local and western restaurants, shopping centers, golf courses, Clark International Airport and casinos. Suitable for both business and holiday travelers, the 35 square meter deluxe room has a stylish contemporary design and features a comfortable sitting area to relax and browse the TV channels and movies. Whether having a get together with family or friends, the Presidential Suite, is perfect. The suite features a separate bedroom and open plan living area to entertain guests’ with comfort. The lounge has a stylish and cozy sofa set, dining chairs and a kitchenette with a microwave, large refrigerator and kettle for the full comfort experience. The bedroom has a work desk with internet access and an ensuite bathroom with refreshing shower and separate bathtub. Spacious and inviting, the Executive Suite offers larger space and ample room, endowed with comfort perfect for those lazy days away from home. Take care of business at the work desk with lamp and wired Internet access portal and enjoy a wonderful night’s sleep on the quality beds. Meeting rooms are available for presentations, interviews, client pitches or training for your company. Best Western Metro Clark provides a number of meeting spaces such as conference rooms and boardrooms for rent. Catering, coffee service, projection equipment and other services are available to ensure you have everything you need for your meeting. guests’ capacity. This venue is perfect for events such as weddings, debuts, parties, and special occasions. The hotel also has a conference room, with a garden deck situated on the 4th floor opposite of the pool bar of the hotel that is ideally suited for conferences carrying in size from 25-30 guests. Dine with delight as you savor and enjoy a wide array of cuisines from American, Continental, Asian & Filipino dishes. Experience new vibrant and cozy ambiance in Spencer’s Fusion (maximum capacity of 80 guests). Pool Bar offers a more casual atmosphere in which to enjoy a refreshing drink while watching the unique panoramic view over the city. In Best Western Metro Clark, guests’ convenience & comfort is the top priority. 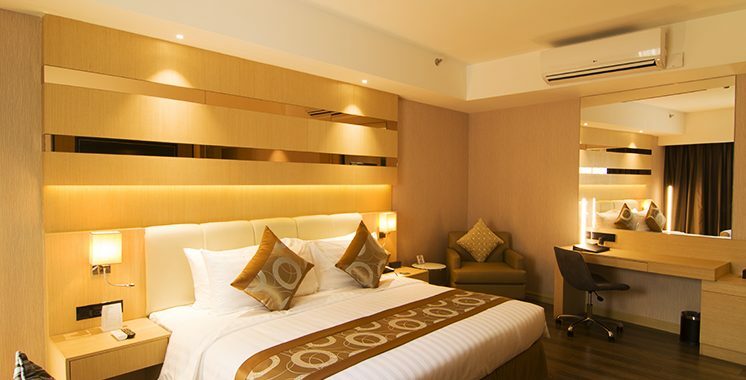 There is a range of facilities for both business and leisure travelers to cater to your needs. With plentiful sunbeams streaming through its full-length skylight, the outdoor pool is an excellent place to swim laps, relax with family, or simply unwind in the peaceful surroundings located at the 4th floor of the hotel. For gym enthusiasts and people who value fitness, Best Western Metro Clark provides you with a good selection of modern equipment and facilities in the Fitness Center, which is located at the 5th floor. Next Post ZEN Rooms First Big Sale of the Year Happening This April 4.